Lights, camera, action! 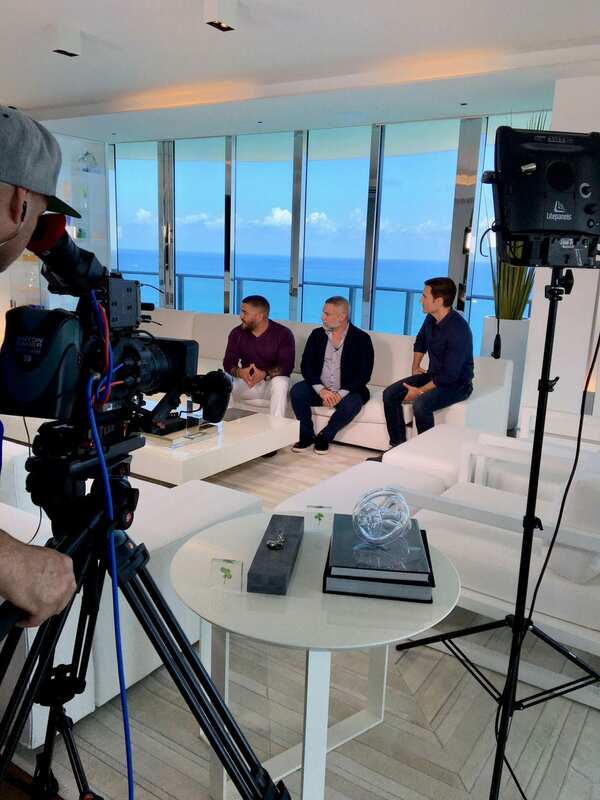 Jay Britto and David Charette spent a day at Regalia with Martin Amado, host of the SoFlo Home Project series. 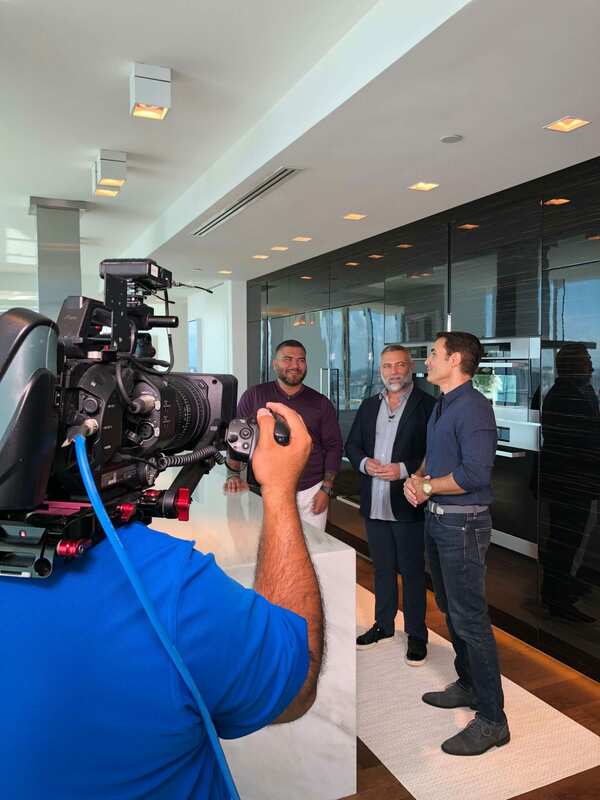 The Saturday morning show highlights residential design projects in South Florida and introduces viewers to area designers. BRITTO CHARETTE has completed two residences at Regalia and we’re proud to have one of them—REGALIA II—featured on Amado’s program. 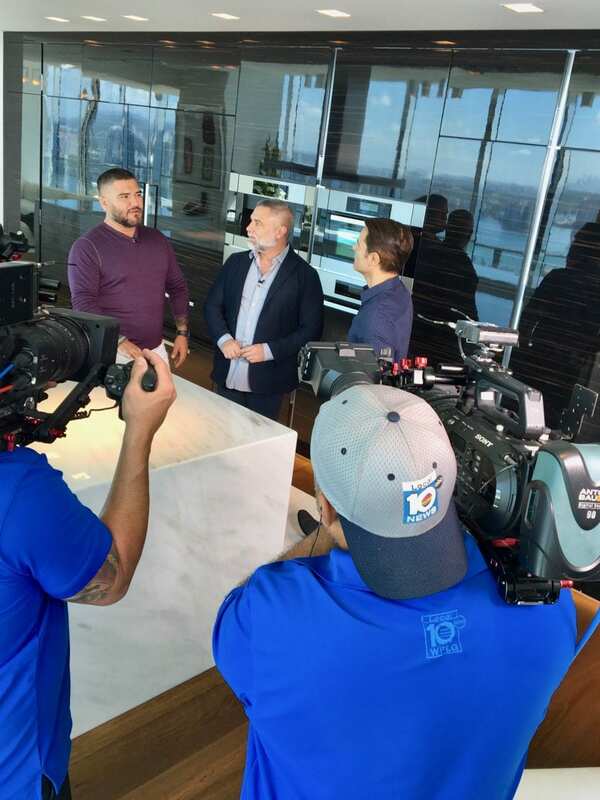 A big thank you to Martin Amado, Xavier Tomaselli, Rave Productions, Local 10, and the entire crew for their attention to detail and professionalism. And special thanks to our fabulous clients for allowing us to film their residence. Stay tuned for details of when the Britto Charette episode will air. In the meantime, check out past episodes of Amado’s show on Local10.com here. We invite you to view more of REGALIA II on our website portfolio here. About the Author: Margaret Charette is the communications director for Britto Charette. Please contact her for a press kit or for further information about Britto Charette and the firm’s line of home accessories.